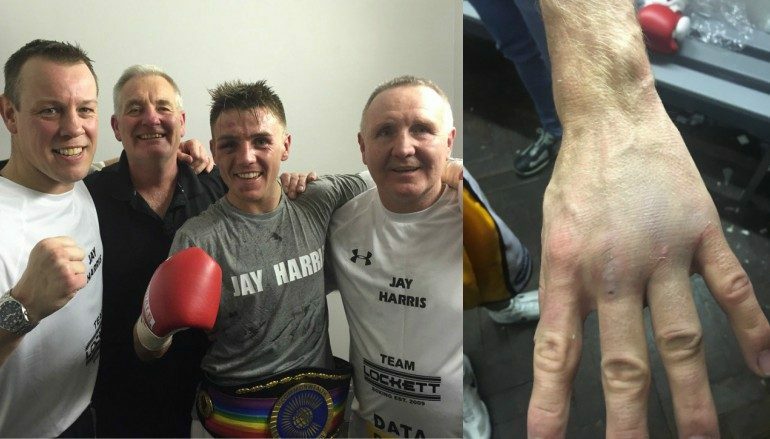 Last night, Swansea’s new star Jay Harris (10-0, 6KO) collected the Commonwealth title in just his 10th professional fight. It came courtesy of a well-earned Unanimous Decision points win against reigning flyweight champion Thomas Essomba (7-3, 2KO) after an absorbing 12 round thumper. They were separated by 117-112, 116-113 and 115-114 scorecards at the iconic York Hall in Bethnal Green, London – all in favour of Harris, who was labeled as ‘the hardest looking 14-year-old’ to be found by pundit and fellow Jack, Enzo Maccarinelli. 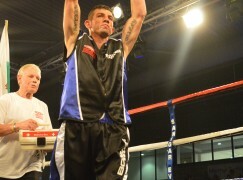 Essomba entered the ring having lost his last outing – a 10 round decision on away soil against Glasgow’s Iain Butcher. The Scot came in overweight and it was therefore a non-title affair, affording Essomba the right to retain his belt. 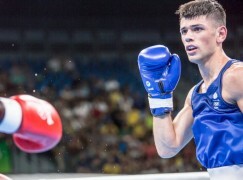 Prior to that, the two-time Cameroon Olympian upset the fancied 2013 ABA champion Waleed Din, halting the Yorkshireman after 11 sessions to prove his worth over the championship distance. Entering the fight, Essomba boasted 53 rounds of paid action, compared to Harris’ 30, which had never seen him extended past the fourth round. Only four ounces separated the pair at the weigh-in but it was Harris who appeared larger in the ring, owning a two-inch height advantage. In the opener, Harris intended to use that and pin Essomba to the back foot with the use of longer, straighter shots. The champion was happy to concede territory, attempting to counterpunch whilst retreating, also testing the waters with a swift left hook. That left hook briefly found a home in the second round; it was a sharply executed and well-disguised shot. In response, Harris attempted his own left, to the body, which has helped him score five of his knockout wins. Harris’ approach was more blatant in the third round as he opted to walk Essomba down behind a tight guard. It forced a way through Essomba’s shell like defence but came at a cost – Harris’ left hand, which was later discovered to be injured in the process. Still, there were still nine sessions scheduled and Harris did what was required – gritted his teeth, refreshed his poker face and got on with it. Essomba ventured forward with more frequency in the fourth round, presenting Harris with more opportunities to engage. It gave Harris more chances to impose himself and he had his best success yet, even managing to lift Essomba off his feet when he tried to hold and wait for the referee to reset the action. Having never seen the fifth round before, it would’ve been an understandable tactic if Harris paced himself at this point. Choosing the opposite avenue, he applied more pressure and put his foot to the floor in an impressive signal of confidence. Essomba was cute enough to wheel away from any significant breakthroughs but he was aware that Harris was on a roll by the halfway mark. He responded as a champion should, coming straight at the Welshman in an effort to halt his momentum. Harris’ once prominent straight shots were discarded and it resulted in bruising shoulder-to-shoulder exchanges. For the first time in the contest, it was Harris’ turn to circle on the outskirts in the seventh session and he spent most of it evading Essomba’s waves of assaults. The pattern continued to the eighth round, territory far more familiar to Essomba, who had been at this point on three previous occasions. 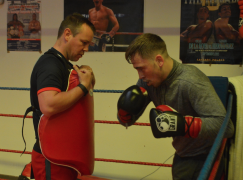 Needing a change in ring position, Harris seemed to enjoy a second wind in the ninth round. Essomba had a habit of leaning over his waist, attempting to put his head out of danger. Recognising the opportunity, Harris stepped back and fired sharp right crosses downwards, also finding room with a short clipping left hook when Essomba responded with lunging hooks. Essomba’s output notably dipped in the 10th stanza, mainly due to Harris’ enthusiasm and extra energy. The 29-year-old’s corner attempted to enthuse him before the ‘championship rounds’ but Harris was wise to the threat, suffocating the attacks with neat punch picking on the apron’s outskirts. Observers, including this one, could be forgiven for having the contest close. However, it wasn’t an opinion shared by the challenger, who was confident enough to simply stay away from danger and wait for the final bell. When it sounded, Harris celebrated with a wide smile, even before the Master of Ceremonies announced the outcome. That confidence was proved well-founded when all three judges favored Harris following a very intense encounter, which will have done wonders for his development. Harris added another domestic honour to his family’s trophy cabinet, which already boasts Welsh Area and British titles – collected in the 1980s by his father, Peter. Harris Senior led the instructions in the corner and was accompanied by Junior’s influential manager, Gary Lockett. 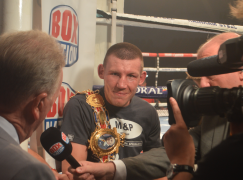 The show was the maiden BoxNation event to be available to BT Sport package subscribers. The platform was a fair reward for Harris, who has been unlucky not to secure televised slots on several occasions in the past. He seized his chance in the spotlight and viewers will be keen to watch again in the future. 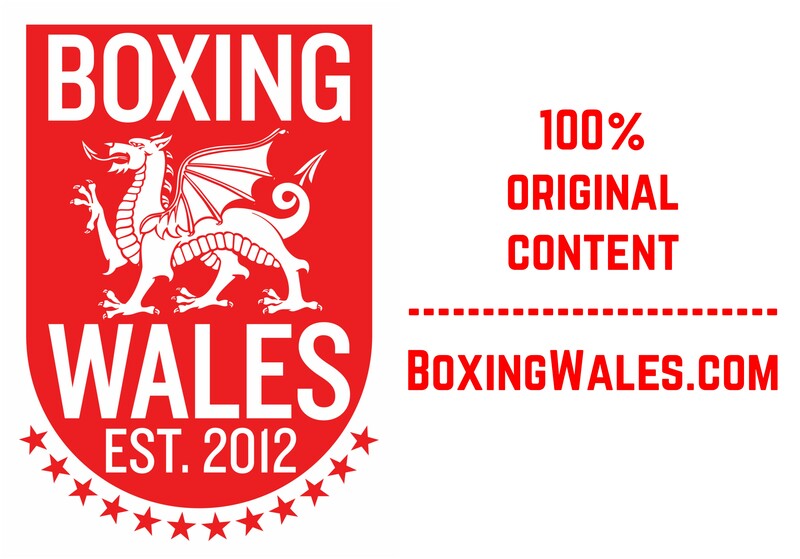 The date, 24 February, was exactly 109 years since Cardiff’s legendary International Boxing Hall of Fame entrant Jim Driscoll became the first Welshman to hold a Commonwealth title. Harris is the 22nd to achieve the feat, following in the footsteps of his fellow Jacks; Brian and Cliff Curvis.